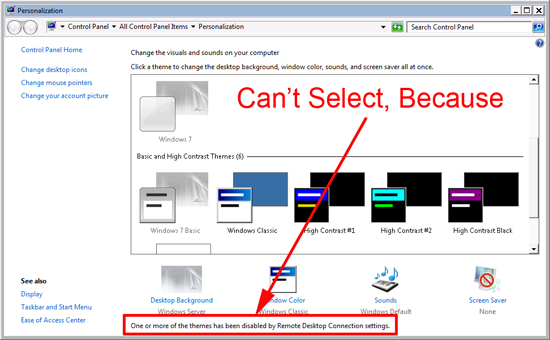 If you have enabled Aero on your remote machine, when you connect to it via RDP you will see this error, (if you try and change the theme to Aero). 1. 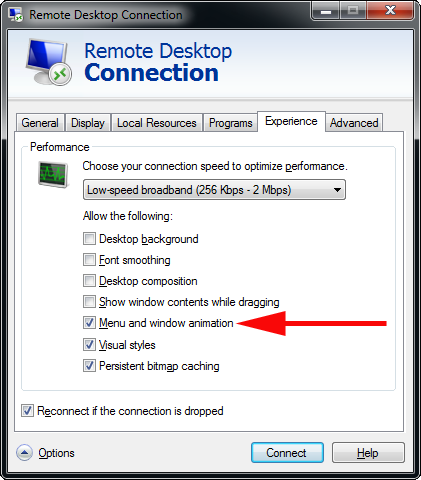 Close your RDP session, and launch the RDP client software again > Options > Experience > Place a tick in “Menu and window animation”. 2. Reconnect to your machine.